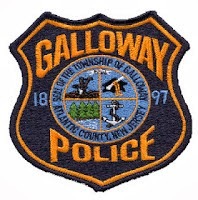 Galloway Township Police responded to 805 calls for service during February 22, 2015 through February 28, 2015. Additional statistics include: 0 Burglaries, 38 Motor Vehicle Accidents, 78 Tickets issued, 1 Driving While Intoxicated, 15 Arrests, 7 Domestic Violence, 2 Fire Calls, 17 EMS Calls and 0 Juvenile calls. Nelly Alaron 34, of Galloway was arrested on February 22, 2015 by Officer Jacqueline Crocker and charged with shoplifting. Kathryn Smallwood 28, of Galloway was arrested on February 23, 2015 by Sgt Chris McGinty and charged with Aggravated Assault. Michael Firrincili 36, of Galloway was arrested by Officer Dominic Fabrizio on February 23, 2015 and charged with Possession CDS. Daniel J. Sheehan 40, of Gloucester was arrested by Acting Sgt Winneberger on February 24, 2015 and charged with theft by deception. Elizabeth Keating 49, of Mullica was arrested by Officer Jacqueline Crocker and charged with DWI . Troy S. Bowser Jr. 27, of Mullica was arrested by Officer Ronald Gorneau Jr. on February 26, 2015 and charged with Obstruction of Justice, Resisting arrest and Eluding Police. Lumumba Kiongozi 53, of Atlantic City was arrested by Detective Bryan Casey on February 27, 2015 and charged with Burglary. Craig Pendleton-Wheaton 22, of Galloway was arrested by Officer Kevin Jorgensen and charged with Possession of CDS and Distribution.